This is a very easy review for me to write, and a very easy recommendation for me to make. If you have a $100 to $150 budget, the Audio-Technica AT-LP60 is the only turntable you should buy. Period! Most turntables selling under $150 use a ceramic cartridge with a low quality needle. These ceramic cartridges are very hard on your records and can damage them. I’ve heard these turntables referred to as “record shavers” because they can remove sensitive sonic information off your precious vinyl even after a single play. The belt-drive AT-LP60 turntable uses a moving magnet cartridge with a diamond of good quality. It is not high-end by any means, however it will not damage your records, and it sounds pretty good given the price. 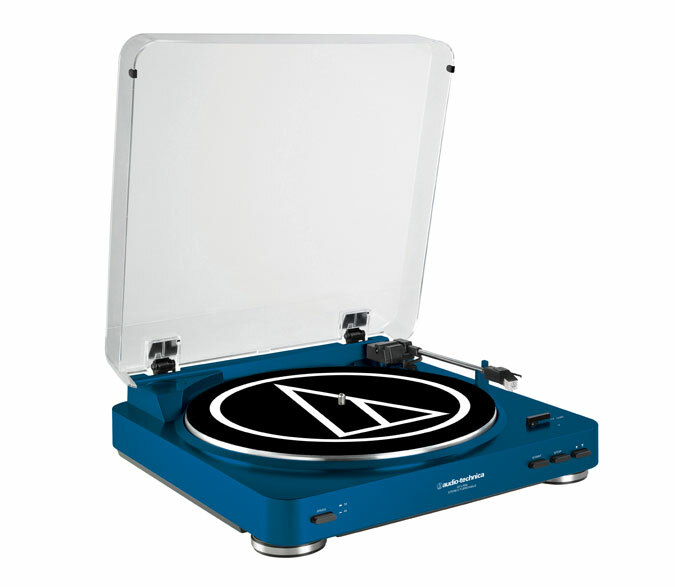 The AT-LP60 comes in three versions, and several colors are available. AT-LP60: Basic version for $99. AT-LP60-USB: this $129 version has a USB output so you can digitize your records on to your computer. It also has the audio output of the AT-LP60. AT-LP60-BT: spending $179 get you a turntable with Bluetooth and a stereo output. There is no USB connection. This model is perfect for use with a Bluetooth speaker or Bluetooth headphones. All Audio-Technica AT-LP60 turntables feature automatic operation, so you can just put a record on the platter and push start. When playing is finished the arm will return automatically. It has an integrated dust cover and a built-in phono preamp so you can use it with any receiver, as well as directly with powered speakers. The sound itself? 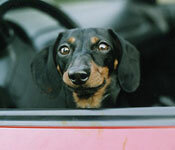 Of course, the actual sound quality will largely depend on the speakers it is used with. I’ve used this turntable with many different powered speakers as well as component systems. The sound is delicate, detailed and transparent, but it doesn’t have a lot of bass or warmth. Again, what you get for the money is quite good but it isn’t going to compete with turntables the sell for $200 or more, and $250 for a Fluance RT81 or Audio-Technica AT-LP120-USB makes for a massive sonic upgrade. Suffice it to say the Audio-Technica AT-LP60 is far superior to every other $100 turntable out there, and a great way to get started with vinyl. 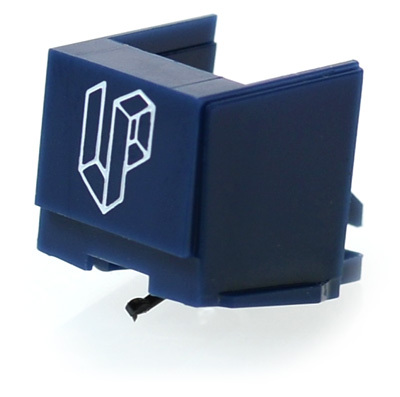 If you do want to try and coax better sound quality out of your AT-LP 60 it can easily be done by changing the stylus, which is user–replaceable and very easy to switch out. For $29.95 LP Gear offers the CARBON FIDELITY CFN3600LE stylus, which has a carbon fiber cantilever (cantilever=the tiny wand that holds the needle) and a finer needle than the stock stylus. I have not tried this stylus on the AT-LP60 (at least not yet) however my experience with other CARBON FIDELITY stylii has been very positive. For only $29.95 is probably worth upgrading the moment you get the turntable, and certainly when the original stylus wears out. It is only $12 more than the original, making it a no-brainer upgrade at that point. In summary, the AT-LP60 is not a high performance piece but at the price it is the only game in town, and performance is quite adequate. The automatic operation makes it perfect for beginners, too.